Lead magnets are the best way to start generating qualified leads through your website. But if you're like most people, you have no idea how to even create one, much less use it to drive leads! To help you get started creating your own, we've put together a list of 9 FREE easy-to-use tools that will help you get great results. The key to offering items that people will want to download is to make them: focused on one result, offer a quick fix for a problem, deliver high value, and have a transformational effect. 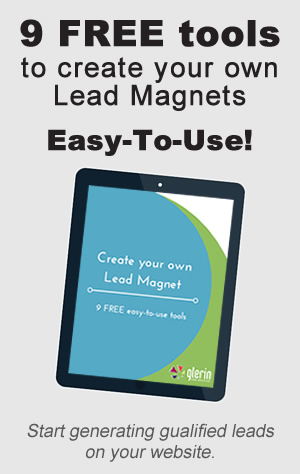 ps - if you're not ready to download the PDF, here's an article about using lead magnets to help qualify leads.